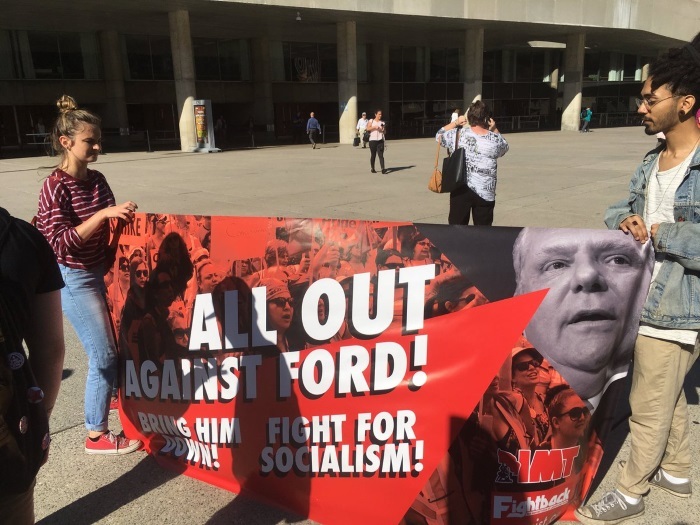 Commies against Ford? Boy am I surprised! Pic courtesy Joe Warmington. So this is what the outrage of an Ontario premier vowing to use the notwithstanding clause to pass his city council reduction law looks like. There’s about 450 people out of a population of 13.6-million, who really seem to care about this. Plans for a revolution may be on hold.